If you are looking for something to hold "it", look no further than Granite Gear. Whatever "it" is, Granite Gear has you covered. 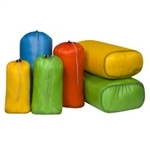 If you need some small ditty sacks in all different colors to help organize your gear inside your pack, Granite Gear has got something for you. 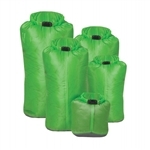 If you need a few dry sacks to store your sleeping bag, and extra clothes in to keep them safe from the rain while hiking, Granite Gear has got your back. If you are looking for a comfortable pack with excellent features that is still light weight, Granite Gear can absolutely help you out. They have everything from lightweight, sturdy framed packs with your typical main compartment and brain compartment to ultralight, minimalistic packs with merely more than a few straps hanging off. Whatever you desire, they've got it!